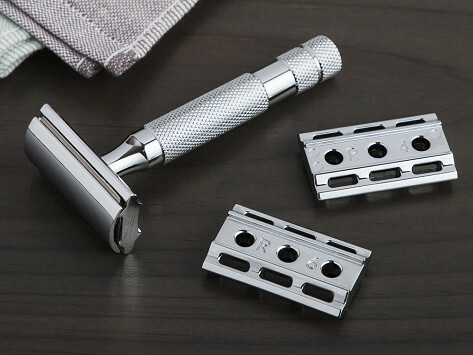 Don’t buy another razor—this robust, Made for a Lifetime adjustable safety razor cuts clean and close to the skin and its double-edged blade helps prevent irritation. With six different size settings, you can get the perfect angle to match your face’s contour, skin type, and hair length. The buffer between the blade’s edge and your skin gives extra safety, too. Takes a little practice but have moved passed nicks and cuts. Quality product. Will use for years to come. Don't ever buy drug store razor blades again!!! Like having your choice of six razors. 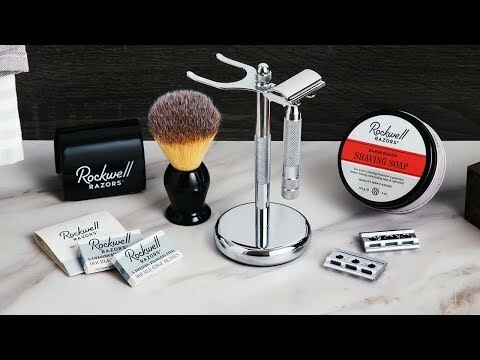 Beside having your choice, through 2 sides of 3 different plates, of what amounts to 6 razors of varying degrees of aggressiveness, the rods, that are permanently attached to the cap, keep the razor blade, the cap and the the plate you are using in great alignment. Threads did not hold up.